SAN FRANCISCO, CA, UNITED STATES, October 3, 2018 /EINPresswire.com/ — Video game publisher and developer Mastiff today revealed a brand-new launch trailer for Home Sweet Home, a chilling first-person survival horror game based on real-world Thai mythology and lore. 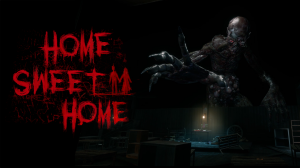 The launch trailer takes players on a gripping tour into the world of Home Sweet Home and provides a glimpse at some of the horrors that await them. Watch the Home Sweet Home launch trailer on the Mastiff YouTube channel: youtu.be/oT-6YV-8ryU. To celebrate the upcoming release of Home Sweet Home, Mastiff has arranged a special livestream event, which will be hosted by Dan “Indie” Long, and will feature celebrity guest and horror film icon, Adrienne King of Friday the 13th fame. Kicking off at 2:00pm PST on Friday, October 5, fans can visit twitch.tv/indie to see the game in action, chat with King, and win some terrifyingly cool prizes! There is a dark and sinister secret casting a shadow over this interconnected labyrinth…and without question, it's no longer the happy home that it once was. Home Sweet Home will be released digitally on the Xbox One family of devices including the Xbox One X, the PlayStation®4 computer entertainment system from Sony, and PlayStation®VR for PS4™ on October 16. A physical edition of Home Sweet Home, which includes the base game and PS®VR mode, will be released exclusively to GameStop stores across North America on October 16. Pre-order Home Sweet Home from GameStop: bit.ly/HSHGameStop. Visit www.homesweethomegame.com for key information, video, screenshots, and more. This video/trailer may only be displayed if it is behind an age-gate that: (1) is age-neutral (i.e., requires the user to input their date of birth or select it from a drop-down bar); (2) employs reasonable technical measures to keep underage users from re-entering their age after initially being denied access; and (3) does not display any ESRB rating information on the trailer player or the age-gate itself. Failure to implement these requirements may jeopardize your ability to obtain material of this nature from us in the future.